Why in different sports athletes represent different "countries"? In tennis (Scottish player Andy Murray plays for it) / swimming (Michael Jamieson) / there is Great Britain team, in athletics. In some sports there are different national teams, in other sports only Great Britain one. There's often a bit of confusion about this. First of all, this might help: One of the main reasons for confusion is because there's muddling between political names (names of countries) and geographical terms (names of places). Note: the term "Republic of Ireland" is often used but the correct name for Ireland the nation-state is simply Ireland. Secondly, the UK has a unique situation where both the constituent countries of the UK and the UK itself have the full status as a country. Politically they chose to be represented by the UK as a whole but it could be otherwise if the chose. This being the case, the countries of the UK have in some cases chosen to be represented as the UK\GB and in others to represent themselves as they see fit. Ireland is a separate country and represents itself politically and in sports. In Ireland in many sports such as rugby, cricket and GAA, national federations had already been formed and these organisations continued to just keep doing as they were doing with the sports people from Northern Ireland and Ireland choosing to still be represented by these bodies. In other sports like football, there were differing opinions and people from Ireland chose to start a new governing body. The Football Association of Ireland was formed to govern football in Ireland (country) and the Irish Football Association, which had governed the whole country (when it was only one country), became the body for Northern Ireland only. The reasons why some sports went one way and some went the other is probably down to the demographics of the sport, but that's just opinion. Since the first Olympics, the UK has chosen to be represented by one team. Now normally called "Team GB", the correct name would be "Team Great Britain and Northern Ireland", originally "Team Great Britain and Ireland". This is just for they olympics and often countries represent themselves for competitions within individual sports. Since gaining independence in 1922(but dominion status until 1937), Ireland has competed individually in the olympics. Since the Good Friday Agreement, citizens of Northern Ireland are entitled to citizenship of the UK, Ireland or both. They are thus entitled to represent either Team Ireland or Team GB in the Olympics. It would have been common before then though. With the unusually complicated nationality statuses, agreements with international governing bodies have had to be sought although in the case of older sports it was effectively continuing the existing arrangement. I'm sure I've left some holes, but there you go. The accepted answer, while doing a good job of presenting the background from a British point of view, doesn't really get at the actual reason for the unusual status of British teams in some sports. It's very simplistic to consider that the UK's “constituent countries” have “full country” status as far as international law or sports bodies are concerned. Many sport bodies (including the IOC or FIFA) have in fact made their rules in this respect considerably stricter in the last decades and would almost certainly refuse to acknowledge anything like that if the UK (or any other country) would request it now. There is therefore no reason to assume that the UK could simply choose to be represented by separate teams at any time, e.g. in the Olympics. Beyond all their peculiarities and no matter how the locals want to see them, the UK constituent countries are in fact very much in the same position than Bosnia and Herzegovina's autonomous entities, Swiss cantons, Belgium communities/regions, Dutch or Danish overseas dependencies, etc. 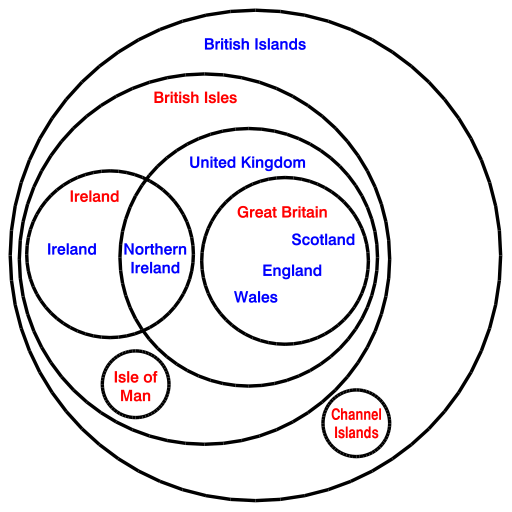 The actual reason England, Wales, Scotland and (Northern) Ireland teams still exist in rugby (union or league), football, curling and cricket is that Great Britain had such an overwhelming influence on the development of these five sports, that it historically enjoyed, and to some extent still enjoys, an outsize influence on their governance. From that point of view, what's special here is not so much the way the UK is organised rather than the history of the sport itself. On top of that, the all-Irish team in rugby union represents another anomaly, also rooted in history. I don't know much about the details but this team existed prior to the independence of Ireland and rugby was at the time primarily a sport of the protestant middle class. The latter might explain why there is no team for Ireland like there is football and other sports. The United Kingdom (UK) is not alone. There are more than 20 members of FIFA (the primary organization that runs international soccer) that are not independent countries as recognized by the United Nations. For example, Puerto Rico, American Samoa, and the U.S. Virgin Islands compete separately from the United States even though they are U.S. territories. Hong Kong and Macau have their own teams despite being special autonomous regions of China. In addition to the four you mentioned, the United Kingdom has several more teams that fall within its large historical umbrella: Anguilla, Bermuda, British Virgin Islands, Cayman Islands, Montserrat, Turks & Caicos Islands, and Gibraltar. When I began looking into this question, my assumption was that FIFA liked maintaining a separate sense of what constitutes a "country" than the U.N. because it likes to imagine it is an international organization with power and influence on the level of the U.N. (And maybe this is true to some extent) Then I read Luke Bradshaw's story of Paul Watson's quest to bring the tiny island of Pohnpei into FIFA. I discovered that "As a non-governmental organization, FIFA is legally obliged to accept membership applications for states that want to join." FIFA is allowed to create application requirements and they leverage those to stall applications they don't like. Of course, FIFA is not the only organization the runs international competitions, the International Olympic Committee (IOC) is another. Unlike in FIFA, the UK sends a single team to the Olympics, not four constituent teams. However, they (almost) never send any soccer teams at all. That's because they are worried that if they played soccer as the UK in the Olympics, FIFA might rescind their ability to play soccer as individual nations in the World Cup. One exception to this was during the 2012 Olympics which were in London -- the UK took the calculated risk of playing soccer as the host and it worked out just fine. There's a clear downside to playing separately. Two of the best soccer players in the world over the past decade have never played in the World Cup because of it. Kim Little and Gareth Bale have been superstars in club soccer but haven't ever been able to shine on the biggest stage of all because they were born in Scotland and Wales respectively and even their skills have not been enough to drag these smaller nations into the World Cup. That will change next year for Kim Little whose Scottish team just qualified last night for the 2019 World Cup in France with a 2-1 win over Albania! The underlying "why" question remains. Why not play as the United Kingdom? The desire to play for Scotland or Wales or Northern Ireland or England instead of a consolidated United Kingdom must be rooted in national pride and history. It's maintained by negotiated agreement. The Home Nations agreement between the four regions sets out who is eligible to play for which of them and is much stricter than the general FIFA rules that allow quite liberally for (often Brazilians) to play for all sorts of national teams around the world. Not the answer you're looking for? Browse other questions tagged trivia international-sports or ask your own question. What are the national team choices for athletes in the U.K? What's the name of the sport that has people on bicycles flipping a football with their wheels? How can a journalist know so much information on athletes? Are there any sports that started as a women's sport? Which sport is played on this field?